The site at Lochaber where the new wind farm forms part of our development plans for the estate? Ive also attached a map which contextualises the position of each site which might be helpful. A formal application for Scotland’s fourth-biggest wind farm, sited in the Highlands, has been lodged. SIMEC Energy has submitted its planning application for Glenshero Wind Farm, near Laggan, following a year of environmental and technical studies. The company says it will offer shares to local residents in the wind farm as part of its community plan. SIMEC Energy, part of Sanjeev Gupta’s GFG Alliance which now owns the Fort William Liberty smelter, has formally applied to build 39 turbines costing £158m at Glenshero, following a year of environmental and technical studies. 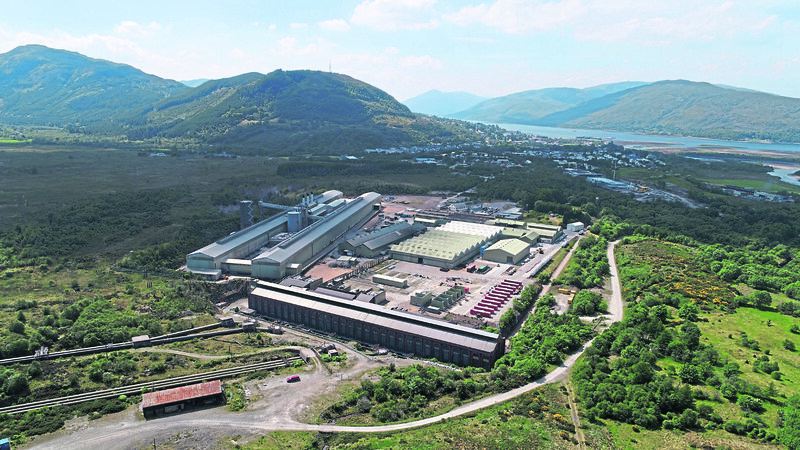 The company, which already operates a hydro power plant linked to the British Liberty Aluminium smelter at Fort William, has submitted an application to the Scottish Government’s Energy Consents Unit. The scheme is located around five miles north-west of Laggan. A spokesman for SIMEC said: “If approved, the 168-megawatt wind farm would trigger up to £158m of capital investment with approximately £23m being spent in the Highlands economy during construction alone. “Contracts for services that would likely be awarded to local firms include; haulage, aggregate, plant hire, concrete, and accommodation. “Under the Glenshero plans, steel for the wind-tower structures could also be rolled at GFG’s Dalzell plant in Motherwell and the towers possibly fabricated at a new neighbouring wind turbine manufacturing plant which the company hopes to set up. “The Glenshero project is central to GFG Alliance’s vision to further develop the Lochaber estate lands for the benefit of the regional economy and communities. If approved, SIMEC Energy intends to develop opportunities for the local community to share in the ownership of the wind farm. Duncan Mackison, chief executive of Jahama Highland Estates, the GFG division which manages and develops the estate lands, said: “This is a very exciting step for the project and our plans for the estate.